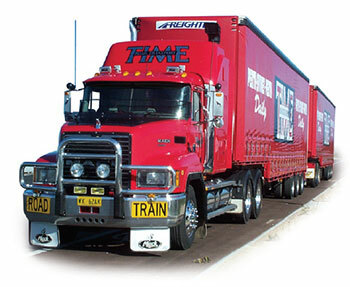 Time Road Transport (Time Road) has been providing Perth – Sydney – Perth road freight services for more than 30 years. We operate depots in Perth and Sydney, supported by a fleet of metro delivery vehicles. We can also arrange for deliveries throughout regional WA and NSW. Effective 29 April 2019, Time Road Transport’s Perth – Sydney – Perth service will be taken over by CTI Logistics – Interstate, formerly Jayde Transport. Time Road specialises in transporting small cartons to multi pallet orders. Our vehicles can deliver door to door. We currently carry some of Australia’s most well-known brands. So whether it’s big or small, we can move it for you. Time Road can transport your vehicle between Sydney and Perth. Our team is experienced in handling vehicles and can have your vehicle delivered within a week. Vehicles are transported undercover and stored in a security monitored areas. You can even put items in your car to travel with the vehicle (within vehicle load limits). Time Road has the equipment and experience to shift large items between WA and NSW. With our drop deck open trailers we can move items in the weight range up to 25 tonnes.